Migraine relief and treatment depends on identifying the cause of the headache. Recent researches have shown that issues affecting the jaw may also have a prominent role to play in many patients. When you have a migraine headache, you might not think your jaw could be the cause, but, the temporomandibular joint (TMJ), may also be the culprit. The TMJ can have an impact on your migraines, for a number of reasons.TMJ Headaches are one of the most common symptoms of a temporomandibular joint dysfunction (also known as TMD). The TMJ headache is often described as a sensation of wearing a tight-fitted hat two sizes too small, with pain focused or a ring around just one side the head, or as a migraine headache. The temporomandibular joint is a typical synovial joint connecting mandible (the lower jaw) and the temporal bone, which is on the side of the skull. TMJ is one of the most complex joints in the body and they are used approximately over 5,000 times each day when we speak, smile, chew, yawn, eat, and swallow. The joint gets its support from muscles located beneath the jaw in the throat area, the cheeks, on top and at the sides of the head. These are connected by tendons to muscles in the shoulders and chest. When TMJ is misaligned or out of balance, this will cause strain on the neighbouring muscles, usually the muscles in the face and head are affected by the strain and the patient can develop a variety of symptoms. Officially, this condition is called TMD (temporomandibular joint dysfunction). Both TMJ dysfunction and TMD are used interchangeably in medical literature nowadays. HOW ARE TMJ PAIN AND MIGRAINE CONNECTED? When you consider the entire nervous system, only about 20% of the input to the brain comes from the spinal column. The other 80% comes from twelve sets of cranial nerves that control smell, taste, hearing, vision, inner ear proprioceptive function and autonomic control of the organs and blood vessels of the body. More than half of the total input comes from the trigeminal nerve (i.e. almost 70% of that 80% which comes from cranial nerves). The trigeminal nerve connects some very important structures in the head as the amount of neural input signifies its importance. Research suggests that the trigeminal nerve plays a prominent role in the start of a Migraine attack. It is easier to understand these complex mechanisms if you look at the nervous system and compare it using an analogy to electrical wiring in your house. When you blow a fuse or circuit breaker, it is the congested circuit that usually blows i.e. you plug in the microwave and toaster together and the fuse will blow. Once you unplug either the microwave or toaster remaining things function normally. In the same way, the (already congested) Trigeminal nerve is very closely connected to the TMJ, teeth, jaw muscles, and sinuses which then join the nerves in your upper neck. When the TMJ is out of balance, the lower jaw bone (mandible) is not aligned properly with upper jaw/cheekbone (the maxilla); it often results in a dislocation of the protective disc that is seated between those two bones. As the lower jawbone is pushed farther back in its working socket (fossa) by the lower jaw that compresses the nerves and blood vessels. This puts a continuous strain on the Trigeminal nerve in the socket which in turn causes stress on the occipital nerves resulting in a migraine headache. 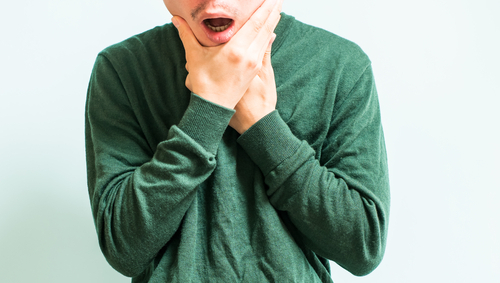 When your TMJ is misaligned, this forces your jaw muscles to work extra hard to do their job. When they enervate, they engage the muscles of your face, head, neck and shoulders. Sooner or later, these muscles fatigue as well. All this overuse causes your muscles to become inflamed and strained. Muscle fatigue can cascade down your body (as your body works as a unit), causing aching, and sore muscles in your neck, shoulders and back. Most importantly, several important nerves (such as trigeminal nerve) lie close to your jaw that run to your face, head, neck and shoulders, and down to your hands. These nerves are responsible for perceiving sensations and initiating movement. Stiff, Strained or overtired muscles can put the squeeze on these nerves sending pain signals to your brain. This is how a jaw disorder can manifest itself as seemingly unrelated pain in other areas such as head, eyes, ears, or even arms or hands. A new study by researchers from the University of Sao Paulo in Brazil has stated that TMJ dysfunction could increase the severity and frequency of migraine attacks. TMD condition itself doesn’t seem to predict who gets migraines, but the team thinks it may increase the severity and frequency of attacks. The researchers have stated that Migraine is a neurological disease with multifactorial causes, whereas TMD (like neck pain and other musculoskeletal dysfunction) is a series of factors that intensify the sensitivity of chronic migraineurs. On the other hand, TMJ headaches can also be caused by a build-up of blood pressure. When the muscles in your face, head and neck are strained, they prevent proper blood supply to the correct places. When this happens, your body attempts to correct the problem by sending more blood to the area, which increases blood pressure (called a vascular headache). This can cause a real throbbing feeling of pressure around the head leading to headaches. Moreover, often TMJ tension headaches are often misdiagnosed as migraines. 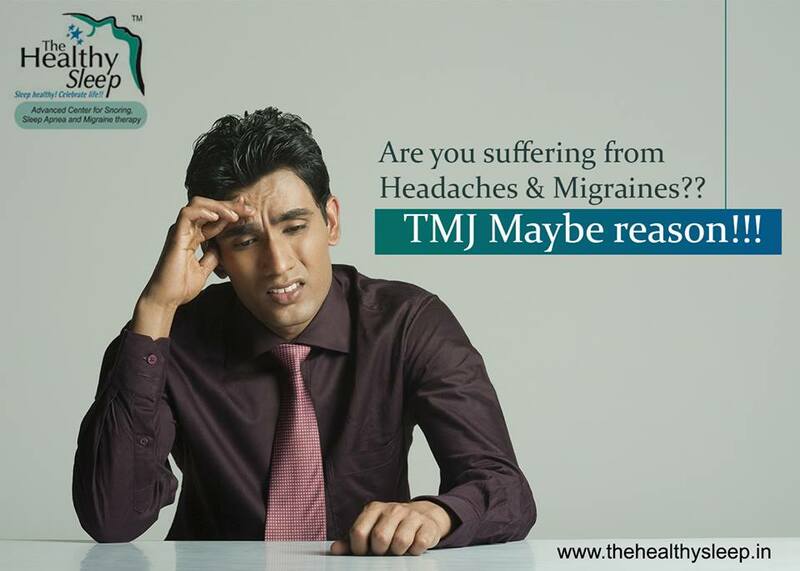 The treatment for TMJ headaches (or TMJ related migraines) is different from other migraine headaches so it’s crucial to consult a TMJ specialist. Is a Migraine Caused by TMJ or any other causes? X-ray, MRI and/or bone scintigraphy to show TMD. Healthy Sleep is an advanced Center for Snoring and Migraine Therapy. 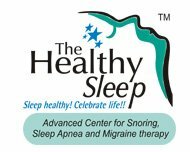 This is the first such center in India providing Oral appliance treatment for Snoring and TMJ related migraine treatment in Kerala. Dr. Krishnan, the director of ‘The Healthy Sleep’ is India’s first dentist trained in treating snoring, sleep apnea and migraine headaches with oral appliances. The center provides the best TMJ related headache treatment. Dr. Krishnan had advanced training at Las Vegas Institute for Advanced Dental Studies and he is specialist to treat TMJ related migraine headaches.